Rockman Corner: Keiji Inafune: The Book? The decision on whether or not to cover the recent happenings of Keiji Inafune has been an on/off battle. One one hand, it'd be nice to keep tabs on the fellow who heavily influenced the Mega Man franchise, making it what it is today. On the other, since he's no longer associated with Capcom (and subsequently Mega Man), there's really not too much of a point. However, this news bite in particular may yet have to do with a certain Blue Bomber... maybe. According to a listing at BK1, the former Capcom executive is writing a book, tentatively titled "Keiji Inafune Concept." Other than a suggested April release date, no other details are known at this time, however, the book's subtitle, "concept", bears a passing resemblance to the name of Inafune's new business, "Comcept." Back in December, Inafune reportedly distributed a Comcept business card to an industry analyst -- the event taking place just a short while after the Comcept title first reared its head on Infanune's Inafking blog. It would seem this book, whatever it may be, relates to that of his new company. So, what does this have to do with Mega Man? If it's an autobiography about Inafune's life in the gaming biz, chances are the book is bound to cover much of his escapades with the franchise. After all, he's pretty much had his hands all over it for some twenty-three years, making up a large portion of his career as a game designer. If not a biography but more of an informal guide to game design -- a book housing his design philosophies, then perhaps he'll sneak in some Mega Man allusions in there. All speculations, of course. Hopefully, we can expect an official comment in the near future. Depending on how things play out, I might continue to follow this. If not, I'd advise you to look elsewhere for future updates. I'm extremely interested, my love for Megaman doesn't just stop short depending on who owns him at the moment. Mr. Inafune deserves our collective respect, but I'm sure not everybody thinks so. In fact, I'm almost certain some Megaman fans clutch on to their Starforce memorabilia and say "Good riddance" to Inafune. Hey, thanks for citing the People's Republic of Rockman DASH as a source! Now I feel important! Actually, I was distracted when writing the news story, and I totally forgot to say where I got the information. Heat Man linked me to it. He just yelled at me, so I fixed the post. "In fact, I'm almost certain some Megaman fans clutch on to their Starforce memorabilia and say "Good riddance" to Inafune." And what in the world is that supposed to mean? Is that supposed to be some kind of implication that us EXE and Star Force fans hold little regard for him? I haven't really seen anything of that sort. In fact, I saw far more people that were suggesting good riddance to Inafune if he had any significant involvement in the Network Timeline in the first place. Hell, I even noticed that some X fans at Capcom Unity managed to convince themselves that X9 would not exist if Inafune continued working for Capcom. Quite an interesting project here. If Inafune goes through with this, I hope he dispels any issues regarding his roles in specific projects, and even elaborate on exactly how big of a role he played within Capcom during his final years. I personally think you should keep covering Inafune. I mean, Even if he's not working at capcom, You cant help but say he shaped megaman to be what he is. I mean, KFC is still KFC even though Colonel Sanders dead, And he's still related to KFC, because he helped shape it to what it is. So Megaman will still be megaman even with inafune gone, and inafune will always be a part of Megaman. I would LOVE to read this man's autobiography. It won't have anything to do with MM. Enough with Inafune. He did not create MM and he seemed to hate good MM characters (like X) I'm not just you saying this to you Protodude but to every MM site out there. He HELMED the series. It was under his direction. He fathered it. So what it he didn't make it, he raised it. I'd love to see you find quotes of where he states he hates any of his characters. If so, Why'd he work on them? Really bro, You arent "reasonable" in the least. Inafune is a part of Rockman, And so any news regarding him is also regarding rockman, imo. Akira Kitamura created Rockman. Tokuro Fujiwara created Rockman X.
Inafune created the Rockman DASH series concept and the character of Zero. When Zero 1 was made Inafune wanted Copy X to be the real X, who had become insane but his team (thankfully) shot the idea down. I mean come on at TGS '09 Inafune even admitted in front of an audience that he isn't the father of Mega Man, more like one of many caretakers. Every time I post my opinion rabid Inafune fans always attack me, but I know the truth. Spin it anyway you want but Inafune left Capcom, and in essence left his Mega Man team. But Mega Man will survive without Inafune. You know why? Because many of the the artists, composers, and writers who worked on the various classic mm games still work at Inticreates, The spirit of MM is still very much alive. Every time a MM game is made Infune is credited but his team isn't. When he left everyone was spamming Capcom-Unity with R.I.P Mega man posts... on the Legends 3 Devroom... where the staff of Legends 3 reads for fan input. It's downright disrespectful to say MM is dead without Inafune or that MM IS Inafune's. I've said what I've said and won't comment further since someone always attacks me on this, But continue to say LOL VOICEOFREASON U SO CRAZY. That being said Inafune did do a lot of good within Capcom. He helped convince Capcom that fighting games are the future and even backed up Yoshinoro Ono's SF team at executive meetings. He understood that you should make a japanese game that can appeal to a worldwide audience, and he even believed in Ben Judd enough to convince Capcom to let him handle Bionic Commando (even though that game failed lol). 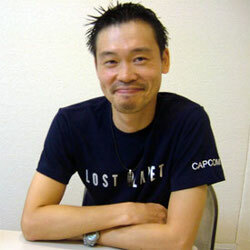 Ono tweeted that getting fighting games greenlit within Capcom will be harder without Inafune. But that's just it, he did more for Capcom as a whole than he did for Mega Man as a series. I don't hate Inafune, I dislike the rabid fans who salvate over him without knowing what it is he does. If he says something about Mega Man then every MM fansite should report about him, if he writes an autobiography about his love of danish meatballs or something I guarantee every mm fansite would comment on it. I know I already said it but this time is the last time I comment on this article. lol. I'm not going crazy over inafune. Where did that crazy idea of yours come from which made you think I thought Inafune was the creator of MM? I know he isnt. I'm taking into consideration that any kind of book about a person is likely to have their biggest accomplishments. Inafune joining capcom, and his years in there, Are quite a big part. And I can say 100% sure there will be a lot of mention of Megaman in his book. You really need to think before you post, Voiceof"Reason"
I wasn't refering to you "Megafan" but to fans in general.